HostGator Flash Sale Coupon : 60% off Shared, Cloud and WordPress Hosting ! 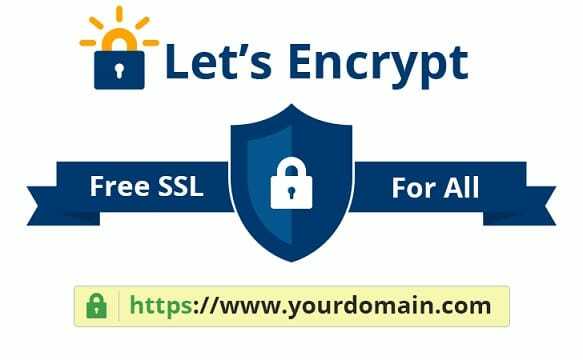 Let’s Encrypt is a new SSL Certificate Authority ( SSL Certificate Provider) that provides you with a totally free and absolutely unlimited SSL Certificate, which you use for as many domains as you like, Both forms of SSL Wildcard. It lets you convert from http://yourdomain.com to https://yourdomain.com for free. It will take some time for let’s encrypt the update and install the dependencies. Once Let’s Encrypt has finished installing, you can issue the certificate in a snap. Let Let Encrypt know that we are using Apache to automate the installation process. It informs Let’s Encrypt our email address, and let Let’s Encrypt know the domain name that we want to certify. You can use any domain you want after -d . Let’s Encrypt will automate the whole process and add the appropriate lines of code to your domain configuration file. Let’s Encrypt when working with Nginx will be likely to crash, so you should back up the data before running LetsEncrypt. This will create the certificate file in the directory behind /etc/letsencrypt/live/YOURDOMAIN.COM. In the configuration file, make sure that Nginx server is listening on port 443 and that the path of the certificate file is properly declared. Save the file, restart nginx. Then run the domain name in the browser. If you see the word https, you are right. Coupons in Your Inbox !!! © Copyright 2019 Easy Promo Code.